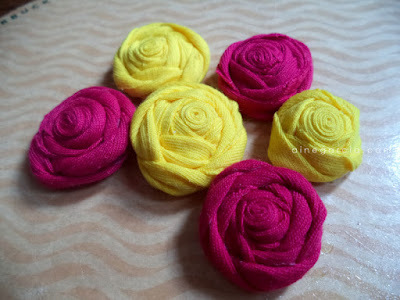 Just when I decided to earn from fabric flowers, I was already "perfecting" my techniques on how to make them. Well, aside from the very few fabric flowers that I made for personal use, here's what I did for the very first collection of Nia&Bella. These rosettes are made of t-shirt cotton fabric. And no, I didn't use my own t-shirt, instead, I used a sampler of fabric that I bought. And of course, I used a hot glue to secure the rolled fabric. 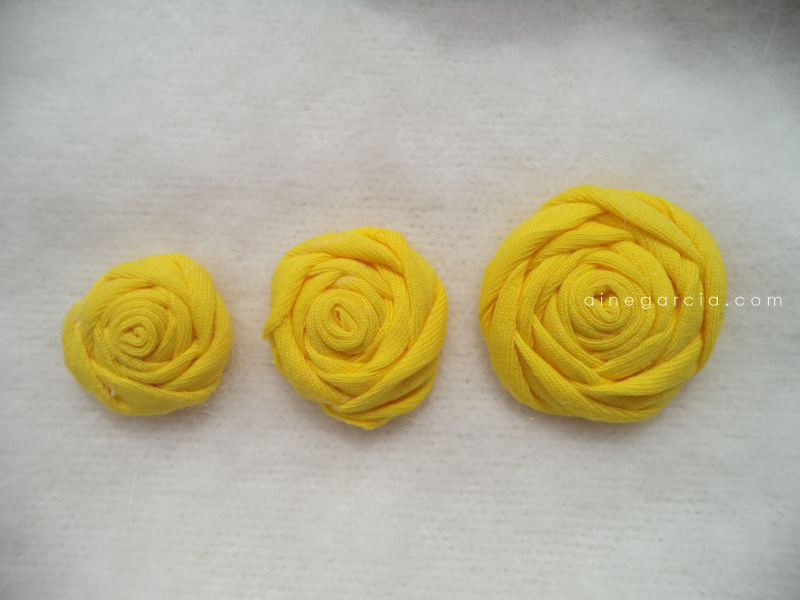 For this collection, I made 3 sizes of 1, 1¼, and 1½" in diameter. 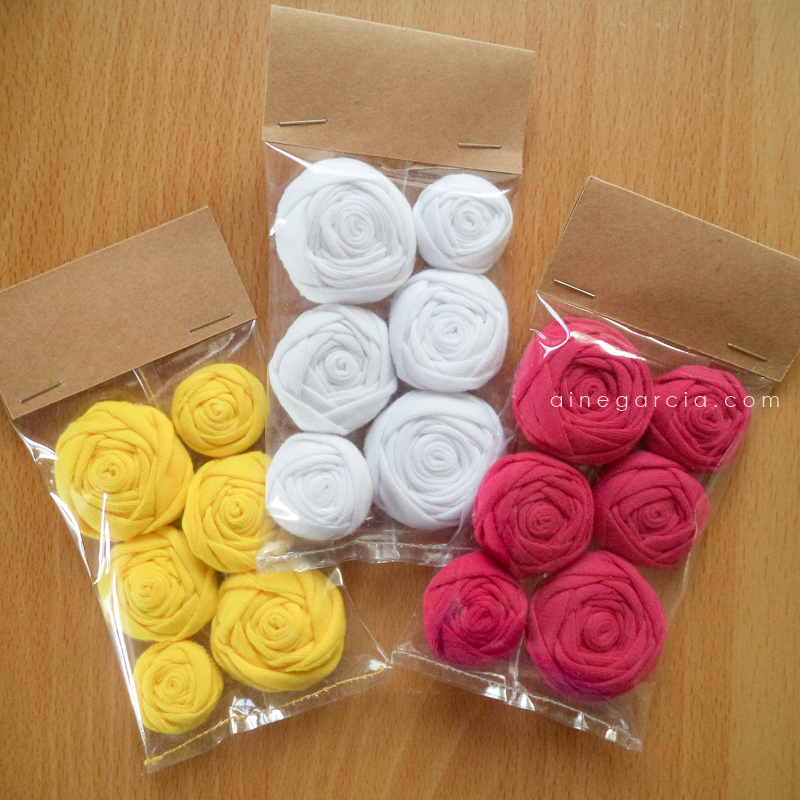 I only had 4 colors, though - yellow, fuchsia pink, white, and a very dark blue (not in picture). I actually enjoyed doing this, because what I like about rosettes is you don't need too much tracing and cutting. All I have to do is just measure, cut, fold & roll, and glue. But of course, I have to make sure that the fabric flowers are rolled and secured tightly. And also it has to be neat, which means no hot glue showing on the surface. the first tries.. not bad huh?! 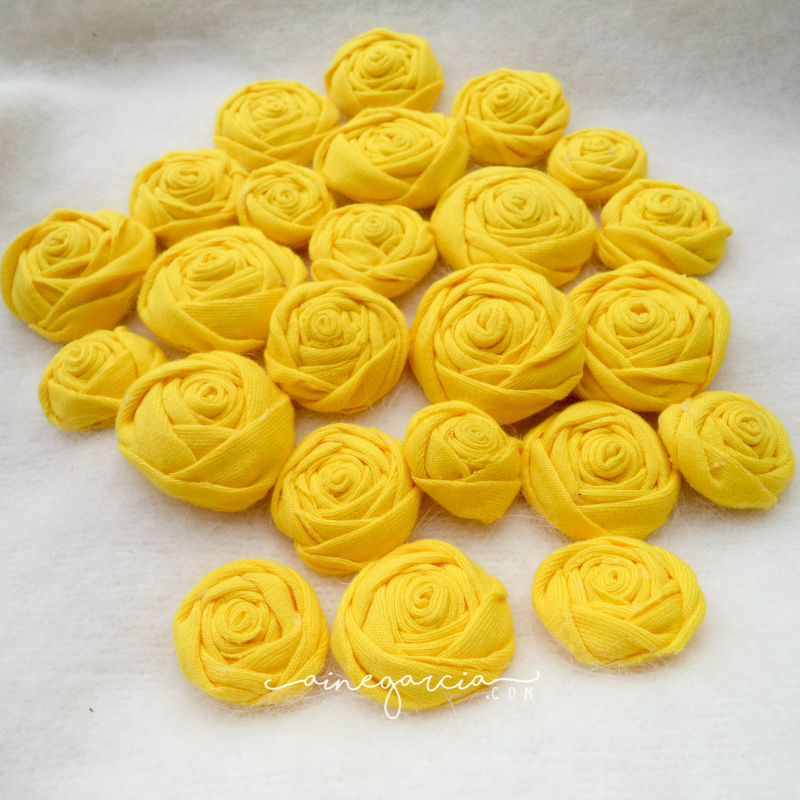 My fabric rosettes are currently out-of-stock, but I'm planning to have a new batch of them soon together with new variants of fabric rosettes that are SO perfect for your crafty projects. Watch out for those and for my other new collection.